MCO/BNB trading pair and MCO trading promotion also announced. 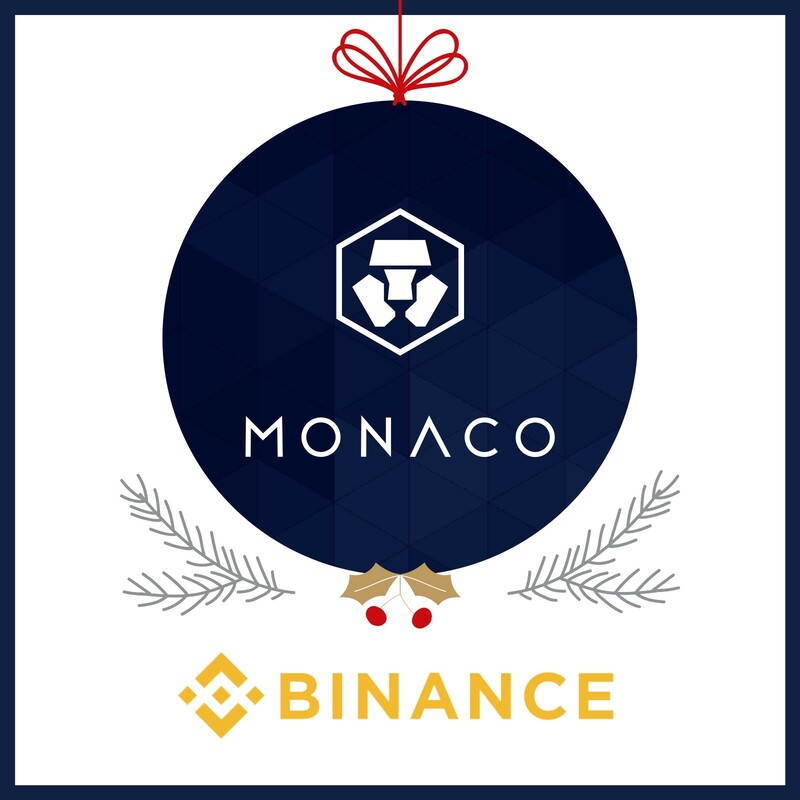 <HONG KONG, December 25, 2017> — Monaco, the pioneering payments and cryptocurrency platform, today announced an expansion of its strategic cooperation with Binance, where Monaco’s MCO token was listed on August 23rd this year. Under this partnership expansion, Monaco will include support for Binance’s BNB token to its platform which includes the Monaco Visa Card and Monaco mobile app. Binance will also add the MCO/BNB trading pair to its exchange. In addition, to celebrate the expansion of this partnership, Binance will host an MCO trading promotion beginning on December 26. MCO/BNB market trading begins on Tuesday, December 26.